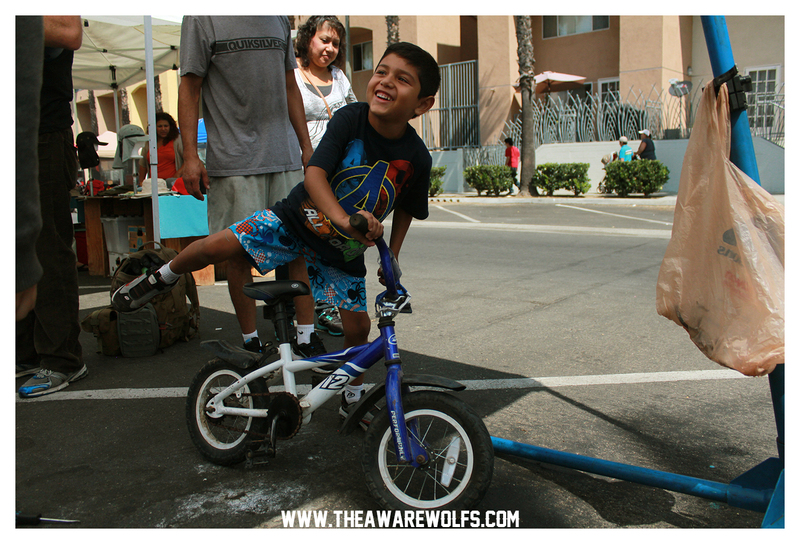 Recently got to check out Bikes Del Pueblo the other day at the City Heights Farmer’s Market. 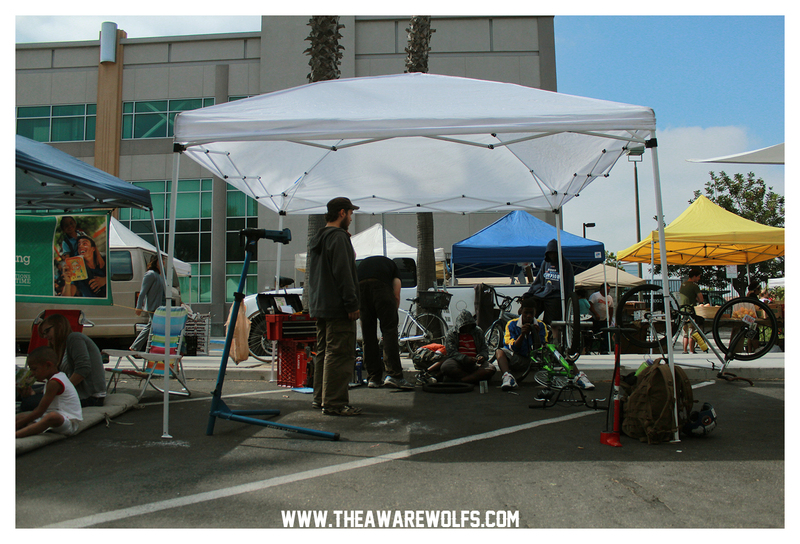 Bikes Del Pueblo is a DIY collective that sets up shop every Saturday at the City Heights Farmer’s Market from 9-1. Let’s go over that last sentence. 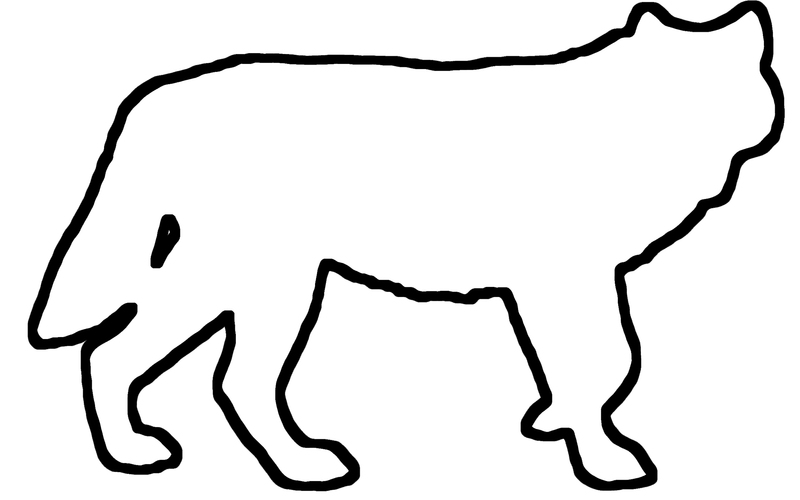 DIY meaning YOU do IT and collective which means NOT a shop. 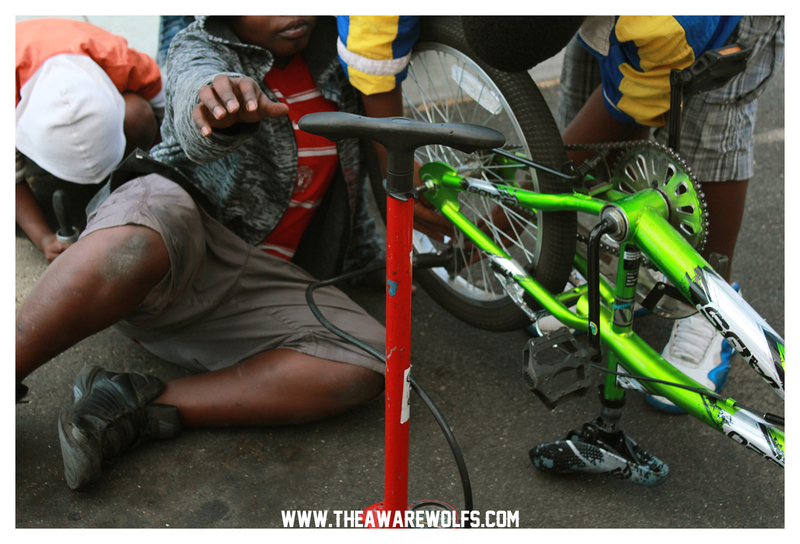 They won’t fix your bike for you, they’ll show you how its done though. They won’t even ask for money but they will hope you make a donation. 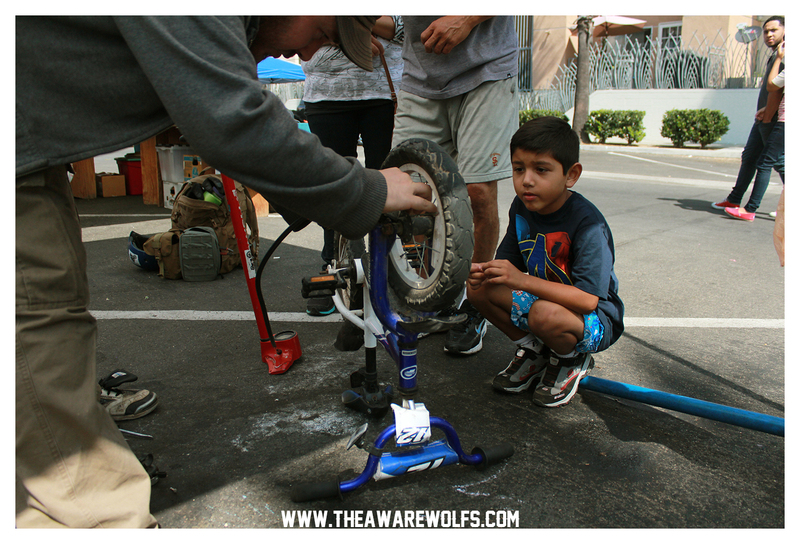 When I showed up, there were three kids being shown how to fix their own flat. 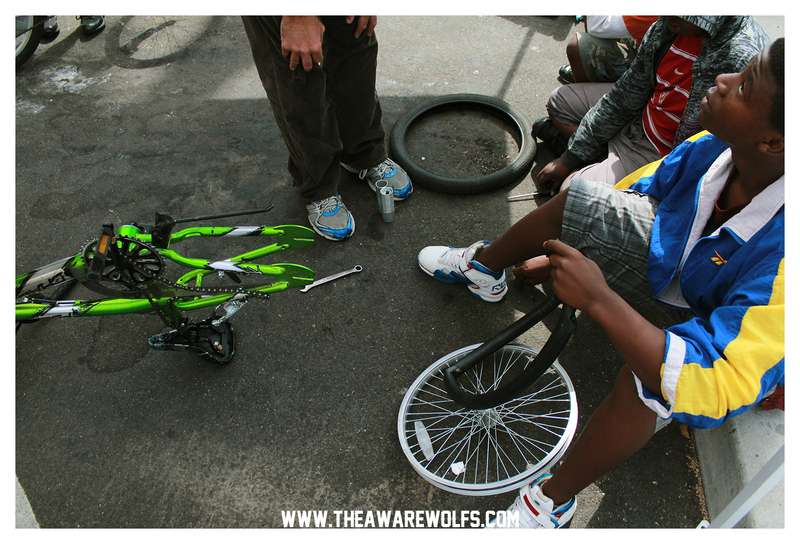 Bikes Del Pueblo showed the kids how to patch the hole but ended up giving them a brand new tube because the one they had was shot. Then a little later on, a family showed up with their son and his 12 inch bike. He needed some air in the tires, the chain lubed up, and his bell straightened out. 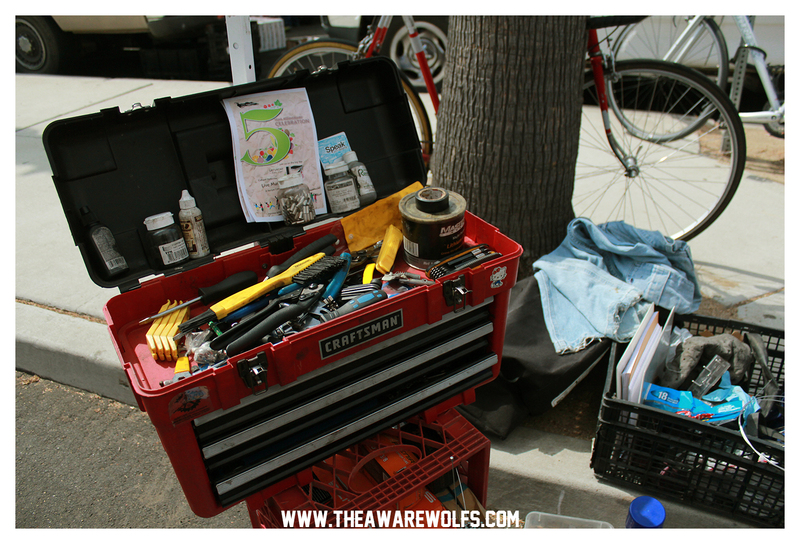 Bikes Del Pueblo showed him how to fix it all but did the work for him for obvious reasons. The kid was so freaking stoked when they were all done and you could tell that the parents were so grateful. I’ll be totally real with you, I started getting all emotional while editing these photos cause you could just see the kid wanting to soak up every ounce of knowledge Bike Del Pueblo was telling him. 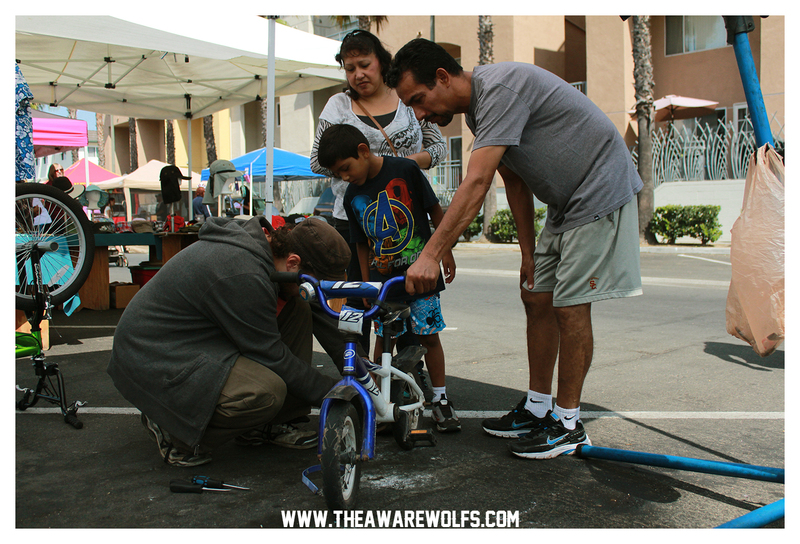 You can also see the look in the parents faces of just how grateful they are that their son’s bicycle is getting tuned up. Sharing bicycle knowledge is so important. 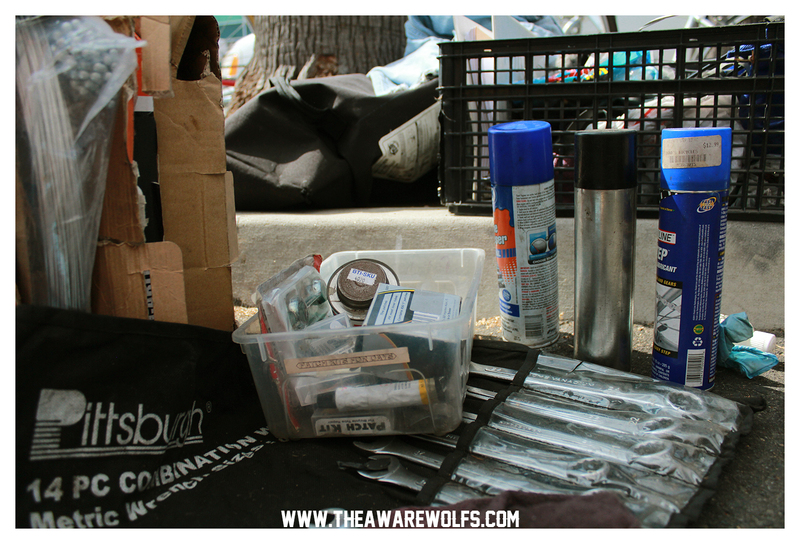 Bikes Del Pueblo is some bike punks doing all of this out of the kindness of their own hearts. They don’t make a profit, they don’t get hardly anything out of what they do. Everything they get literally goes right back in to their operation. Its really nice to see something like that. You should go see them for yourself some Saturday at the City Heights Farmer’s Market.